Pictured are some of the nearly 150 people who have signed up for the “New You for the New Year” fitness challenge at the Letcher County Recreational Center. Nearly 150 people have signed up for a 12-week fitness challenge that started at the Letcher County Recreation Center on January 1. This is the second year that Whitesburg trainer Brandy Cook has organized the New You for the New Year fitness challenge. 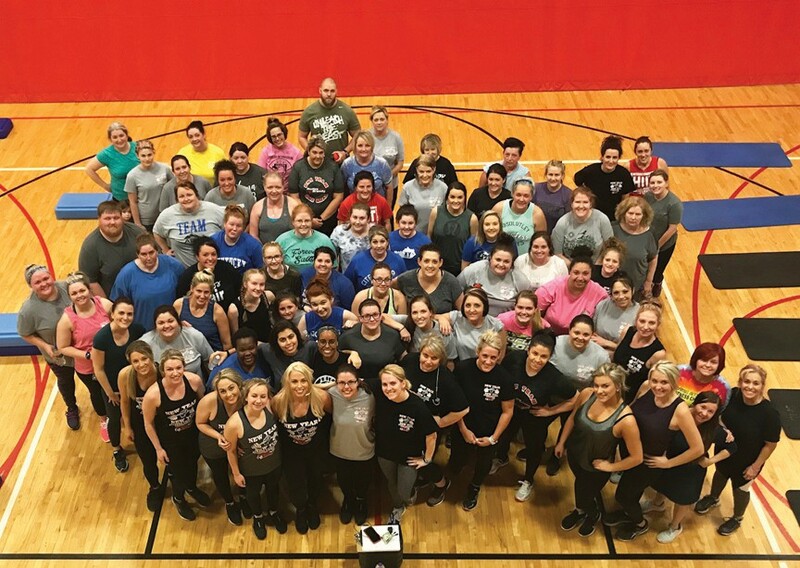 In 2018, more than 1,000 pounds were lost as a result of Cook’s winter and spring 12-week challenges. People do not have to be signed up for the 12-week challenge to attend the classes. Attendees must have rec center membership or pay $4 at front desk for rec center fee. Cook’s classes are $2 on weekdays and $5 on weekends.